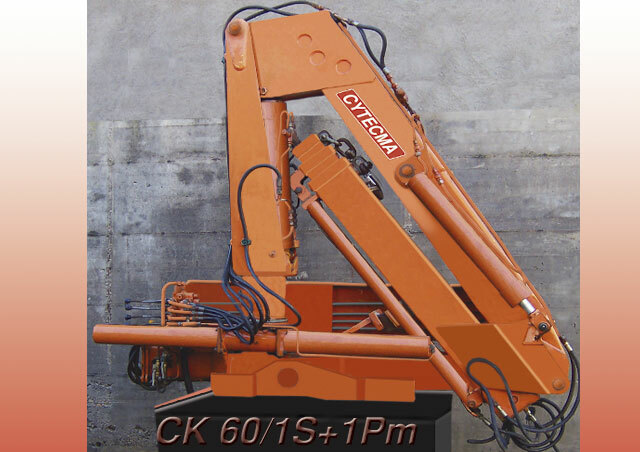 Boom/Bargain lifting platform ck-74/2S, to be installed on truck or pedestal. 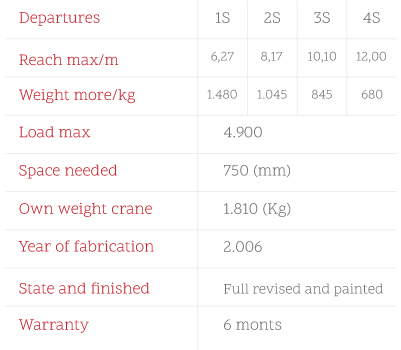 You can also find more models in the PRODUCTS tab (top) CATEGORIES (Land and Marinized cranes). 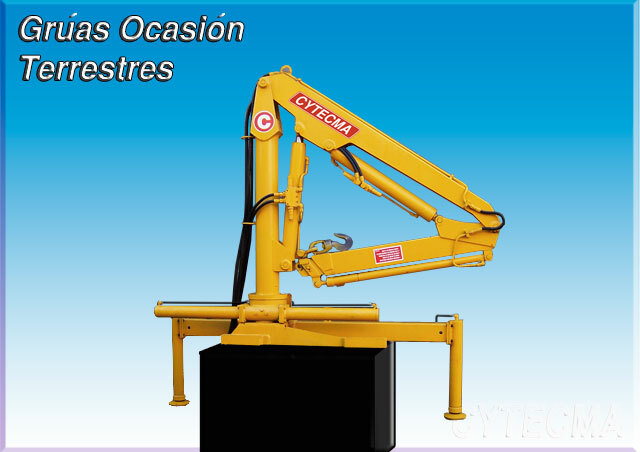 Crane for second hand loads to be installed on truck or pedestal. 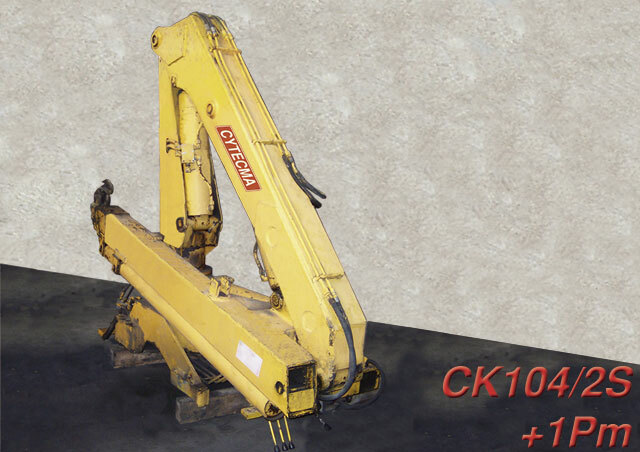 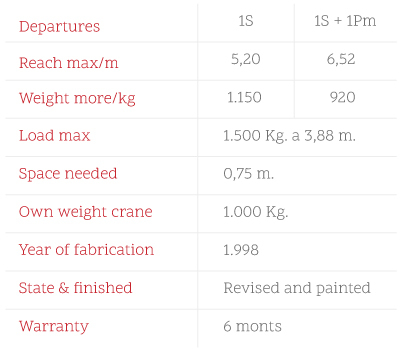 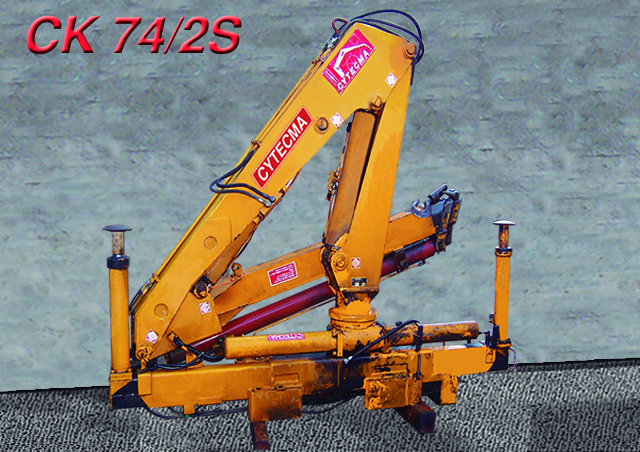 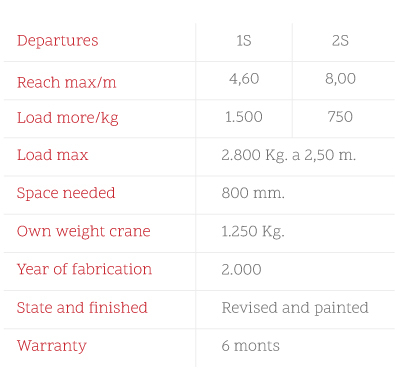 Sale: Ck-104 second hand crane with 2 extensions plus 1 manual extension, to be installed on truck or pedestal. 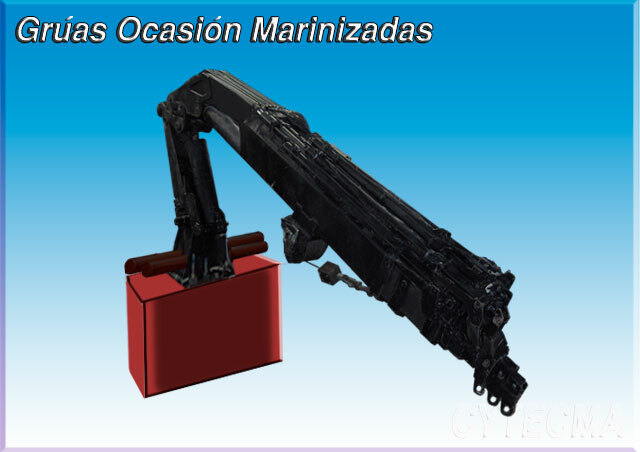 Possibility of installing a wide range of accessories for lifting platforms. 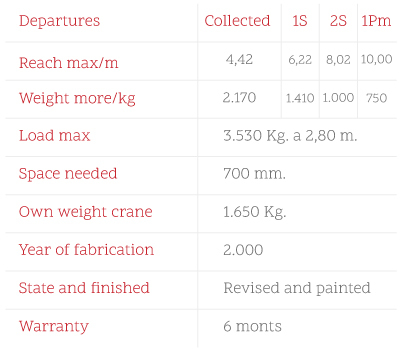 You can also find more models in the products section of the top menu. 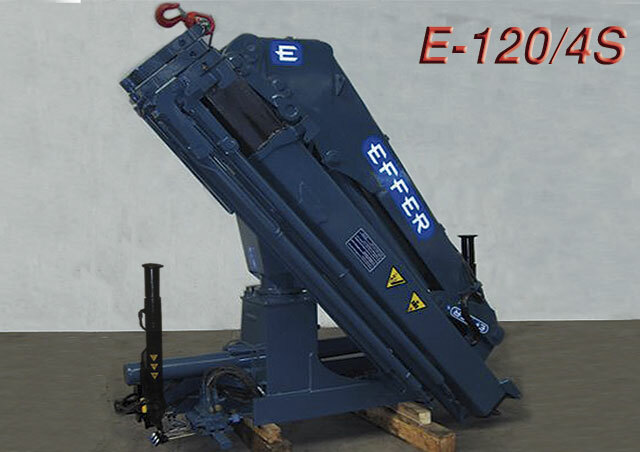 Effer model E120/4S crane, to be installed on truck or platform.